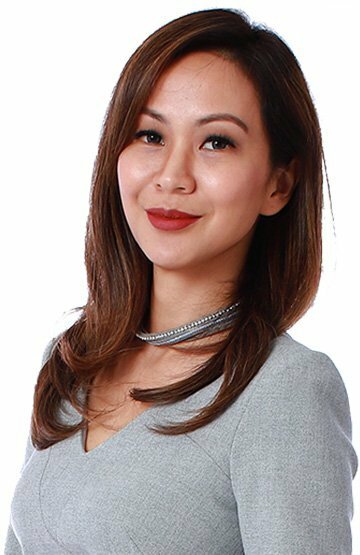 Instafill by Doctor Ain is a customised treatment to revive the natural contours of your profile using a combination of various specialised techniques with dermal fillers. If you want to reduce wrinkles or rejuvenate your facial skin , Hyaluronic Acid (HA) may be a good choice as a dermal filler because of its compatibility with the human body which is a natural substance found in the body. 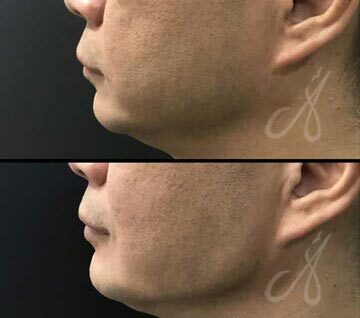 When HA filler is injected, it acts like an inflated cushion to support facial structures and tissues that may be lost volume or elasticity due to normal aging. It also brings water to the surface of skin to keep it looking fresh and supple. Doctor Ain aims to create a fresher and more youthful look without altering the essence of your beauty. A deep Tear Trough can create a shadow that is perceived as a dark circle below the eye. It also creates a division between the lower eyelid and cheek that is an early sign of aging around the eyes. 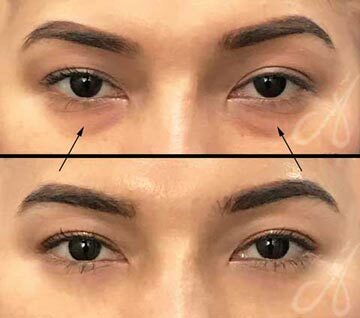 As aging leads to volume loss and tissue laxity in the lower eyelid, the tear trough becomes more prominent and make one look more tired. One of the treatments for deep tear trough is through Hyaluronic Acid Filler injections. 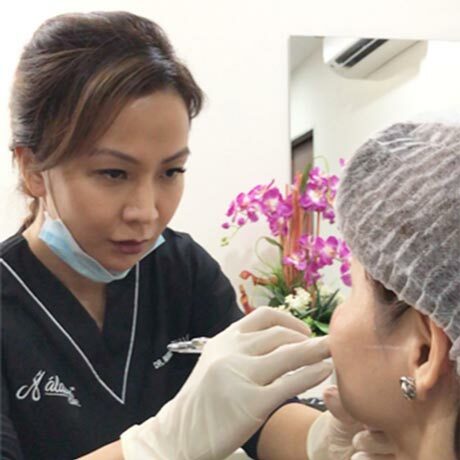 Non-surgical rhinoplasty is a medical procedure in which injectable fillers, most commonly hyaluronic acid or calcium hydroxyapatite, are used to alter and shape a person’s nose without invasive surgery. As we age, bone atrophy causes reduce tissue support. The mandible (jawbone) atrophy makes the chin looks more retruded and there is a loss of demarcation between the face and the neck. 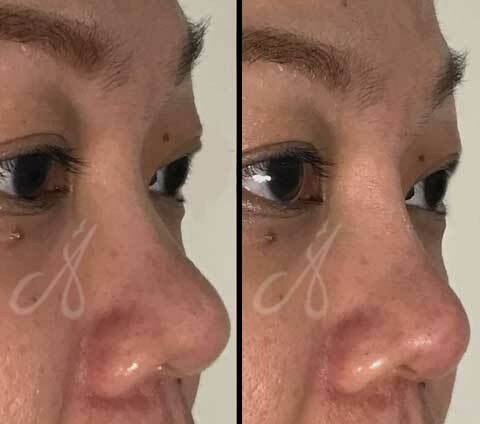 A combination of various density dermal fillers with specialised techniques can be used to give sharper facial proportions and restore the volume loss. 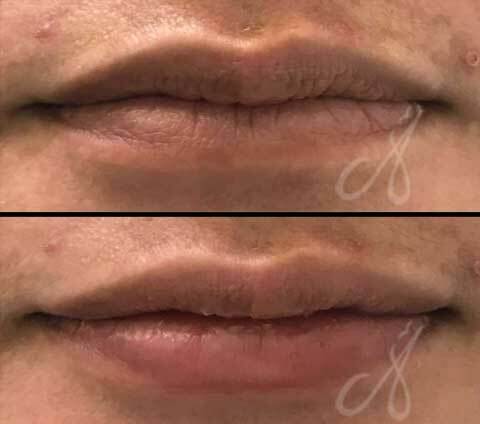 Hyaluronic acid binds with water molecules once injected into the lips, allowing hyaluronic acid-based fillers to moisturise as well as plump the lips and provide longer-lasting results. 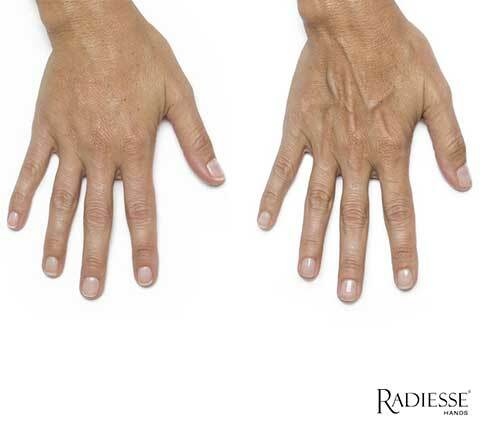 RADIESSE® Dermal Filler can help improve the appearance of aging hands. It is deemed safe and effective by the FDA to correct volume loss of the hands. It can enhance the appearance of hands by restoring lost volume, minimizing the visibility of veins & tendons, providing a smooth natural result, stimulate collagen production and improve overall skin texture. 30Secs Video of Dr.Ain on InstaFill. Is Tear Trough Fillers For You? Dr.Ain Explains. Disclaimer. The content provided above is for educational purposes. It is not intended as a substitute for a licensed certified medical professional advice. Individual results may vary.